This fundraising exhibition of artwork is presently showing in Sudbury at Artists on Elgin. 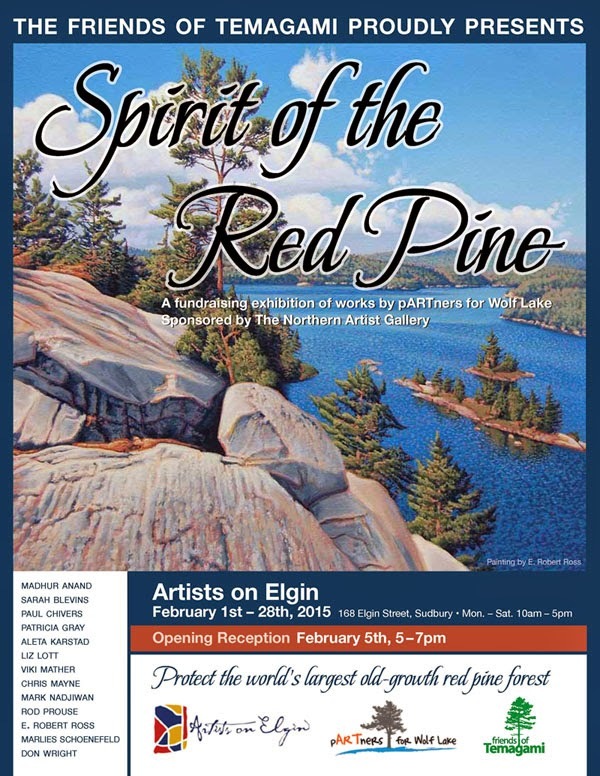 Well worth a visit to help support the Wolf Lake Coalition in their efforts to protect the largest remaining old growth Red Pine forest in North America part of which is actually inside the City of Greater Sudbury's city limits! You can find further information on this amazing area at Save Wolf Lake .